THE FB POCKET ORCHESTRA. YOU’VE HEARD OF THEM, NOW HEAR THEM LIVE. What began as a social media exercise has become something of a phenomenon. They even played a Sunday Brunch gig at the Royal Albert Hall last month. But don’t worry if you missed that, because we have two intimate, live sessions with them at BB Charlotte Street coming up. 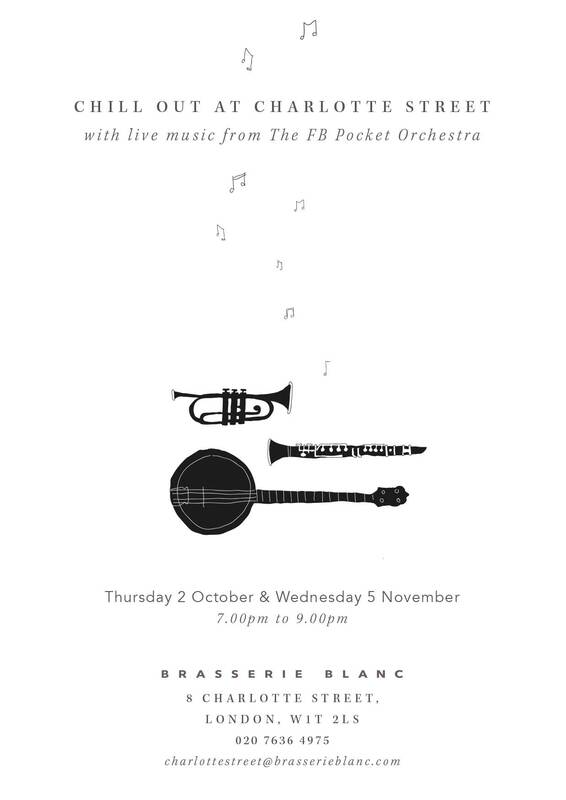 Chill out with us on Thursday 2 October & Wednesday 5 November, when they will be playing between 7pm & 9pm. Join us for drinks or book a table for dinner. See you there.